Reports like these are increasingly common, and represent a double-edged sword for designers. On one hand, they legitimize our profession. When C-suites add Chief Design Officers or Chief Creative Officers, our profession (and the associated pay) trends towards the ranks of executive, finance, operations, and marketing. On the other hand, this has the potential to ruin design. As reports and guides on “best design practices” proliferate, design becomes a formula to be solved. As design receives the stamp of approval from consulting firms—catapulting it and its relatives (Design thinking! Creativity! Iteration!) into the ether of buzzwords, the McKinsey report (and others like it) raises some interesting provocations: Can design be quantified, appraised and used as a variable against which to run financial regression models? 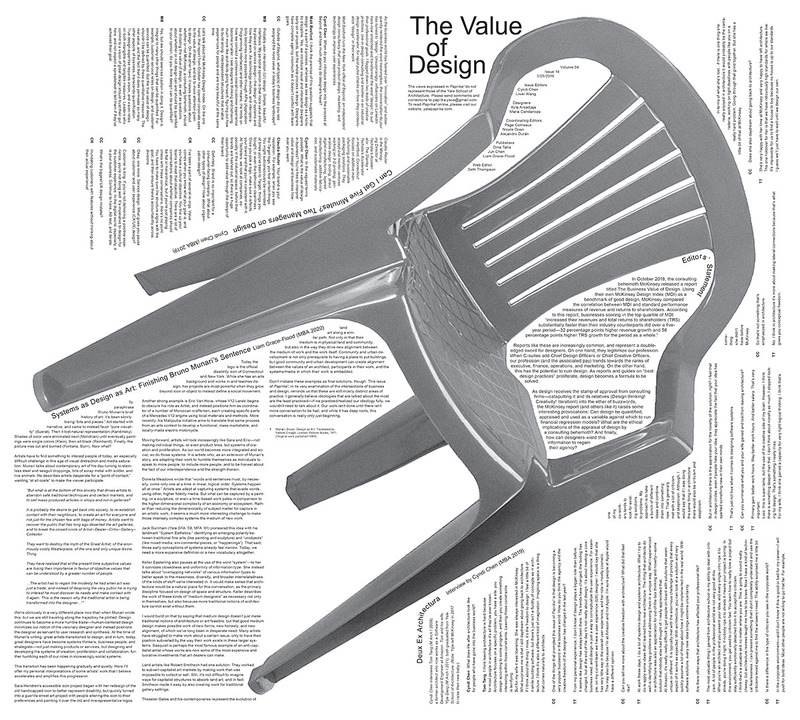 What are the ethical implications of the appraisal of design by a consulting behemoth? And finally, how can designers wield this information to regain their agency?